Is Guild Wars 2 resetting itself? 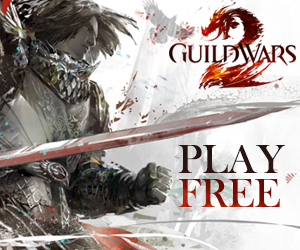 I really like Guild Wars 2; I think it’s a great game and a great MMO, which is high praise coming from me. I’ve got a sort of vendetta against MMOs as of late, not because I don’t like them, but rather because of how stale the genre has become. After World of Warcraft, countless clones of it have been spawned, and inevitably, died. It seems that developers haven’t yet realised that MMO players, like myself, don’t want to play the same, re-skinned content over and over again, especially when the original did, and still does it better than all of its clones. 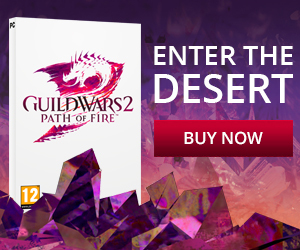 I guess this is where ArenaNet differ with both Guild Wars and Guild Wars 2. They really worked hard to make both games their own; to make sure they aren’t just mindless clones of a different game in the same genre, and to me, this is admirable. Obviously, comparisons can be made, but this is just a genre thing – in the same way that you can draw comparisons between Call of Duty and Halo. With Guild Wars 2, ArenaNet took the MMORPG genre to new heights; adding features into the game that once seemed new and refreshing, which can now be seen as essential. This is a huge win on their part; after years of many MMO players being fed up with the stagnant genre, ArenaNet started to rekindle the fire that many of us had been missing for years. Things like the dynamic questing system are magnificent additions to keep players from feeling like they’re grinding to increase an XP bar, and instead making them feel like they are having a profound effect on the world around them. The 10+ year old system of the Guild Wars PvP level playing-field also returned for the second game, theoretically making new players just as capable of competing at high levels of player vs player combat as veteran players. While all this is brilliant, and as I said earlier, now seen as pretty essential, Guild Wars 2 is in a state of taking 1 step forward 2 steps back. This only became apparent to me once I finished leveling my main character to the cap. The process of getting him there was enjoyable, and I have very few issues with that section of the game, but to me, if you are a casual player the end game is basically non-existent. Let me explain: once I’d reached level 80, I asked one of my friends (a long time veteran of Guild Wars 2) what I could and should do now, to which he replied, “I don’t really know, farm for a legendary maybe?” This sort of sums it up. When the only thing recommended to me after reaching the level cap is thousands of hours of mindless and boring grinding, there is a very real problem. However, I have since done some of the endgame content, whether it be dungeons or living story, it’s nice that this stuff exists, but it’s also where my biggest problem with the game stems from. When Guild Wars 2 was being developed there was constant talk and hype about the fact that ArenaNet were stripping the ‘Holy Trinity of MMOs’ out of the game (basically the tank, healer, and DPS roles). This sounded very exciting, but left me cautious about how they were going to remove this and still keep in obvious and exciting end game tactics. In my opinion, it feels like they haven’t done that; all that was achieved in taking out this Holy Trinity was creating a platform for chaos. When I’m tackling any of the game’s dungeons, I never feel like I’m a vital part of the process, never feel like the group I’m in is following or creating any precise tactics. I just feel like we’re running at the problem head-first until we eventually, and clumsily, smash through it. To me, this isn’t fun. Maybe it’s got something to do with the fact that I’m a casual player; maybe if I put 1000 more hours in I would discover there are a wealth of exciting and different tactics for tackling this stuff, but that’s not really good enough. A well-known saying ‘don’t change what isn’t broken’ perfectly sums this up for me. It feels as if ArenaNet were trying so hard to make Guild Wars 2 fresh and new that this ended up damaging the gameplay for players like me. However, I do see the light. In the upcoming expansion for Guild Wars 2, Heart of Thorns, a new profession-based system has been revealed: specialisations. There aren’t really many details at the moment, all we know is that it opens up a brand new way to play every profession (for example a ranger will be able to specialise as a druid, allowing the character to wield a staff, and promising to completely change the way in which you play). To me this seems like ArenaNet is recognising my problem and highlighting it, maybe not adding a holy trinity into the game, but adding new ways to play. It seems as if they’re pushing the fact that specific professions will fill different specific roles, and specialisations will go further down that route of giving players different tasks they need to focus on, rather than the way it seems to be now – each player just pumping out as much damage as they possibly can while avoiding red circles on the floor. It’s hard to theorize what they might be doing because so little has been revealed, but I’d like to think they’re taking the criticisms that I, and so many other people, have on board and acting on it. Another give away is the new class they’re adding, the revenant, which seems to be obviously based on the ritualist from Guild Wars 1. A support profession. I guess it’s unfair to say support professions don’t exist in the game in its current state, but it is definitely fair to say there is no reason whatsoever to play them. And maybe with this expansion, an incentive will be added. I can only hope for dungeons being reworked in some way to require supporters to be able to beat them, something that ArenaNet were originally very against, with the tag line always to being able to play their dungeons and PvE in your own way, but I doubt this has actually materialised in the way they were hoping. I’m not just having a rant, I think Guild Wars 2 is a great game, but I feel as though this is its one, monumental flaw: the lack of tactics and motivation in the end game. I know it goes against what I said earlier, but maybe looking at the way World of Warcraft does end game and taking a few pointers from that is the way to go, because whatever you want to say about that game after hitting the level cap, the game stays exciting and compelling, something which Guild Wars 2 failed to do for a lot of people. I do think adding back that tank, healer and DPS mechanic into the game would help fix some of its problems, but I hope that’s not how they do it. I hope the developers come up with something exciting and new that forces players to play in a different, more tactical way. I’d also love to hear what any of you guys reading this think; if you think there is an underlying problem with Guild Wars’ end game, and what you would do to fix it.